Internet Beacons are “the next big thing” in marketing and customer service for small businesses. Beakn Mobile is leading the way by taking beacons directly to the business owner. West Side Roofing Co. of Brook Park, OH, has received GAF’s 2014 President’s Club Award. A GAF Master Elite(R) contractor since 2006, it offers a complete line of roofing and maintenance services for commercial and residential properties. Grandmaster Frank Trejo by W. David Medina Ph.D. hits number one on two Amazon bestseller lists. Suzette Faith Foster, motivational speaker and author, is featured in “I Hope You Dance,” Hallmark’s feature film airing Thanksgiving Day. Suzette Faith Foster, Founder of Choose2Thrive, a personal and spiritual transformational coaching and holistic healing company, is featured in this month’s Hallmark Movie & Mysteries Thanksgiving Global Premier. Mark Hurson, co-founder of the premium mail-order razor startup GoodShave, was volunteering with his wife at a local homeless shelter when he realized that razors are almost never available to the people who need them the most; for them, razors are considered a luxury not a necessity. Business consultant and founder of the 3P conference for millennial entrepreneurs, Hifazat “Faz” Ahmad advises business owners to observe changes in how millennials are shopping this Black Friday and Cyber Monday, to improve future promotional plans. Jennifer Giustra-Kozek, author of the bestselling book Healing Without Hurting wants to issue a medical alert to warn about the harmful effects of serving convenient holiday foods, like instant mashed potatoes, on children with ADHD, Attention Deficit and mood disorders, for all healthcare workers and parents of children this holiday season. 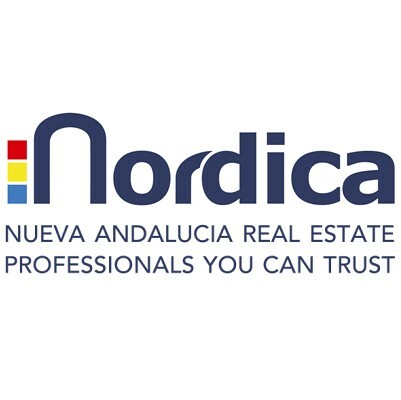 Nordica Sales & Rentals are expanding in Nueva Andalucia. The company has long been one the leading real estate agents on the Costa del Sol, specializing in particular in villas, townhouses, penthouses and apartments for rent and for sale in the areas of Nueva Andalusia & Marbella. Chad T. Collins, creator of an entrepreneur academy, was the featured guest on Influencers Radio show with Jack Mize. He discussed how he helps elementary-aged children learn about entrepreneurship. Five- time bestselling author, international speaker and a prominent media strategist, T. Allen Hanes has launched over 500 best-selling authors and helped them position themselves as leaders and experts in their field. Self-Care for Hairdressers: How to Prevent Stress and Burnout and Step Into the Professional You Were Meant To Be by Rebecca Beardsley hits number one on four Amazon category best seller lists.